Girls, Guys, Humans, It’s official. I’ve gone off the deep end and joined the ranks of planner obsessed crafters. It’s a sickness – but it’s the kind of sickness that is really colorful and pretty- so I’m totally fine with it. Over the last few weeks, I’ve been hitting up JOANN for all things planner – and friends – there is a LOT. Brace yourself. You may want to set a strict budget before walking in because the selection is huge! 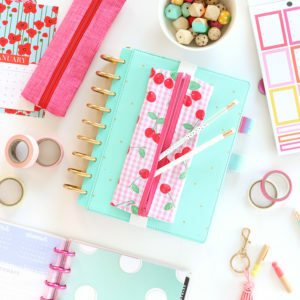 In the spirit of getting you hooked on planners, I figured I would share a few tips for personalizing yours with fun crafts and products. Once you’ve read through this we’d LOVE to hear YOUR tips! What works for you? 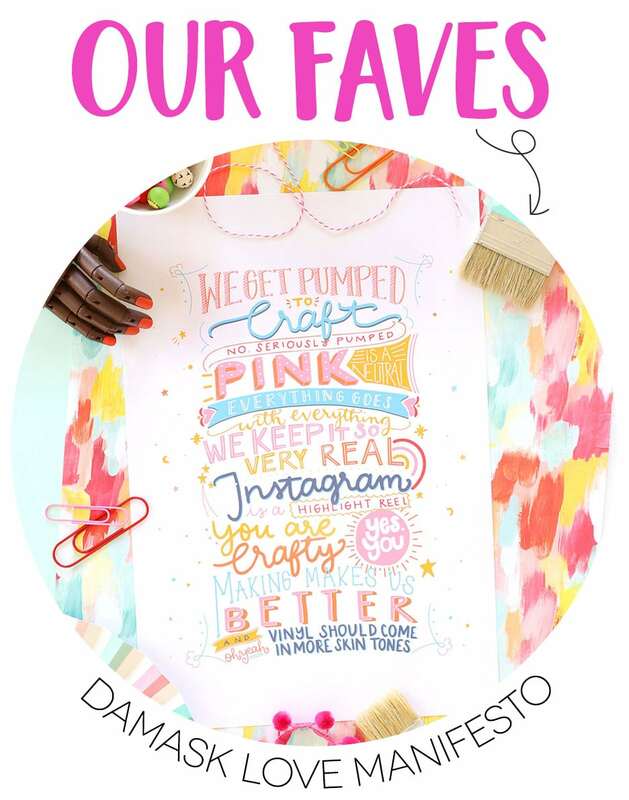 Leave a comment and tell us all your planner hacks! Of course you can totally buy your own Happy Planner Pocket Folder Inserts – but there is something so satisfying about diving into your patterned paper stash to create your own folder! Simply score a 12×12″ sheet of patterned paper in half, then score again on the other side at 9.25″. Fold and punch holes on the edge! Join me on FB Live to see me create this easy hack! I’m not a scrapbooker. Never have been. There is something about a full sheet of paper that is intimidating to me! 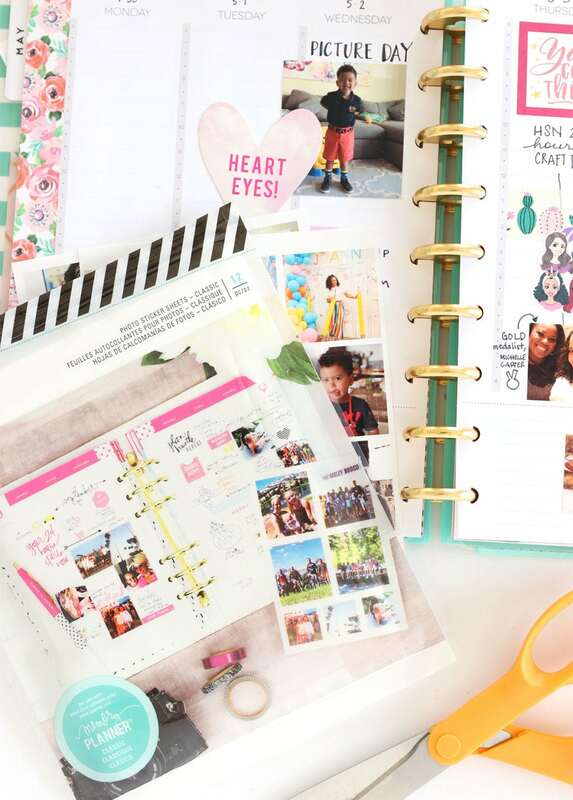 I tackle my fears of scrapbooking, I’ve starting using my planner as a memory keepers. Thankfully, my friend Heidi Swapp has inspired me beyond measure to print my photos and write down my stories! I use the Heidi Swapp Photo Stickers to print my photos and add them to my planner during the weeks when the event happens. 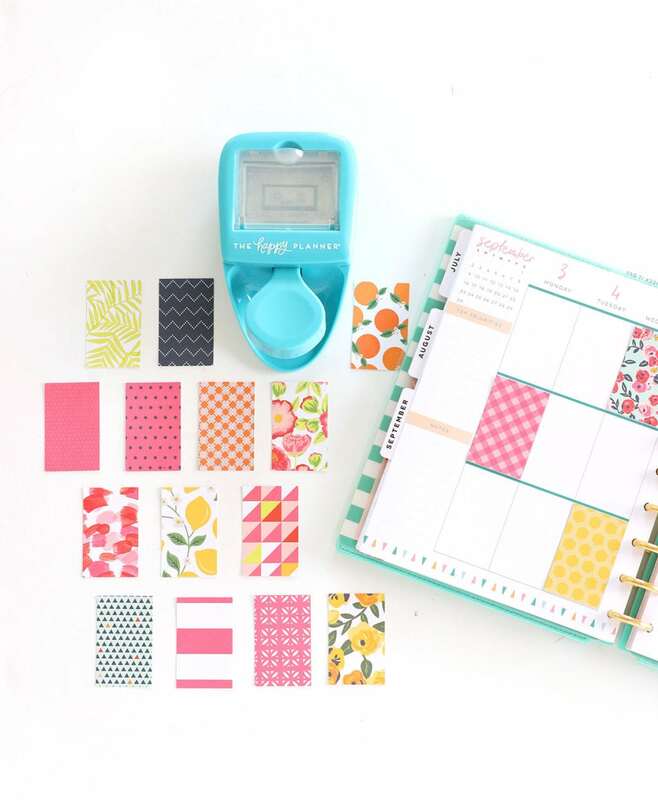 If you’re familiar with the Happy Planner line, you know that the months and weeks are divided into squares and rectangles. 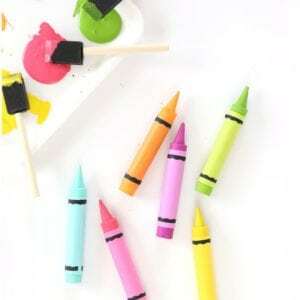 These provide a great way to organize your day – and they also give you lots of opportunity to decorate! 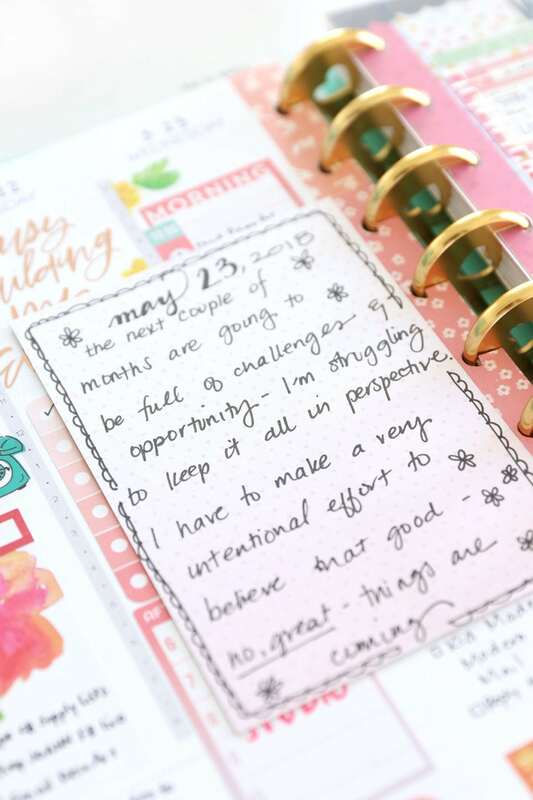 I love using the Happy Planner Weekly Punch to create perfectly sized rectangles. I can use my favorite pattern papers to fit my theme for the week. FOUR | Washi + Correction Tape = Match Made in Heaven! For my monthly layout, I like to use washi tape to block out a range of dates when I will be traveling or attending an event. Since washi tape often features busy patterns, it can be tough to write on the washi and see your words. To remedy this, I run a strip of correction tape on top of the washi to provide a clean white background where I can write the event description! And since I know you’re wondering – my current washi faves are the Park Lane Touches of Paint Set and the Heidi Swapp Fresh Start Tropical. FIVE | Sticky Notes Are a Must! When it comes to planner decoration, there is nothing more frustrating than writing down an event or appointment that gets canceled! This is where sticky notes are a necessity. I use the Happy Planner Sticky Notes to hold dates in my planner – then when the event is confirmed I can commit it to pen and add a few stickers. I imagine there are different schools of thought on this. Some people leave their planner at home – others take it with them. I love taking my planner with me so I can plan on the go or tote it with me while traveling. If you are like me, it’s great to have an option for keeping your goodies organized and portable. 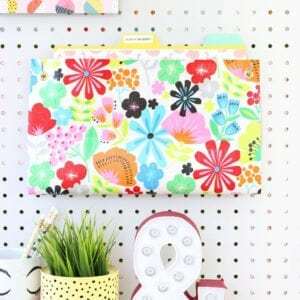 I carry the Happy Planner Storage Case for my Classic-sized planner. There’s plenty of room to carry pens and a few sticker pads. Let’s be honest. Planners are the adult version of sticker books, which means you’ll need a decent stash of stickers for decorating! 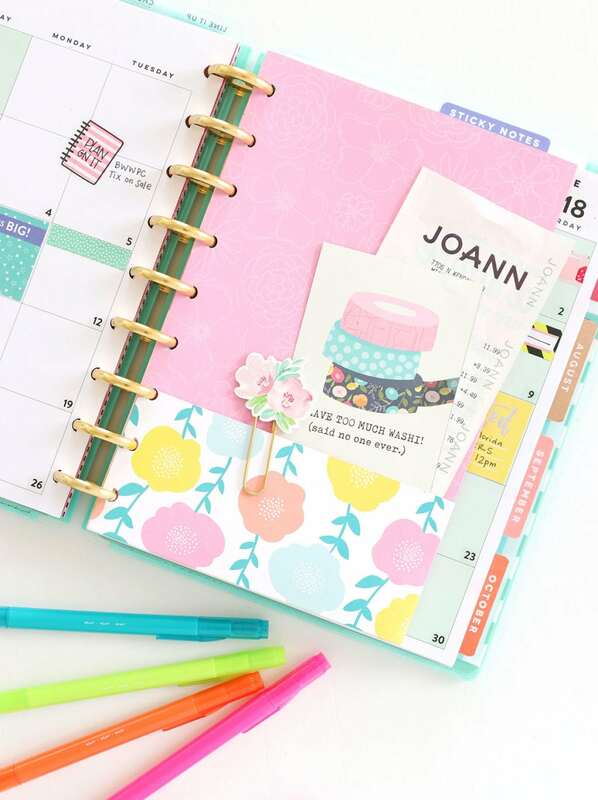 JOANN has an incredible selection of stickers from Happy Planner, Park Lane and Heidi Swapp. One of my favorite ways to use stickers is to trim off the edge so they fit squarely against the edge of the rectangles in my planner. The result is a clean look leaving room for all your writing. EIGHT | Sticker Rolls are GENIUS! Have you even wished you had more of one particular sticker? For me, I need a bunch of the flight itinerary stickers because of all my travel. 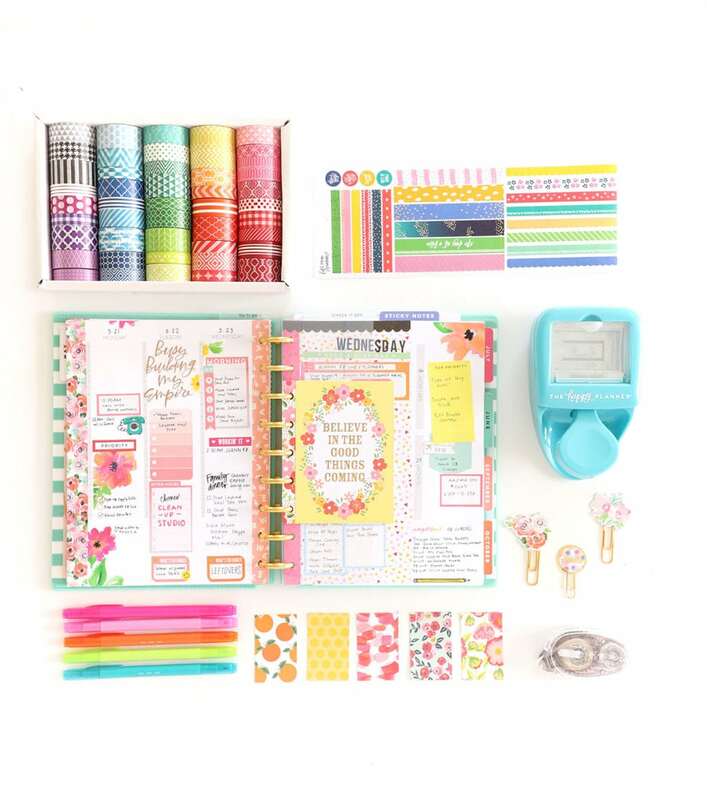 Instead of buying up a bunch of sticker books that include stickers you may not use – you can now grab Happy Planner Sticker Rolls! There are ten different themes and each box has a full roll of your must haves. If you need more pockets for your planner, make use of the inside cover! You can adhere these smart pockets to keep stray papers in place! I also love to keep a few more sticker sheets here. Heaven only knows what would happen if I was running low on stickers! 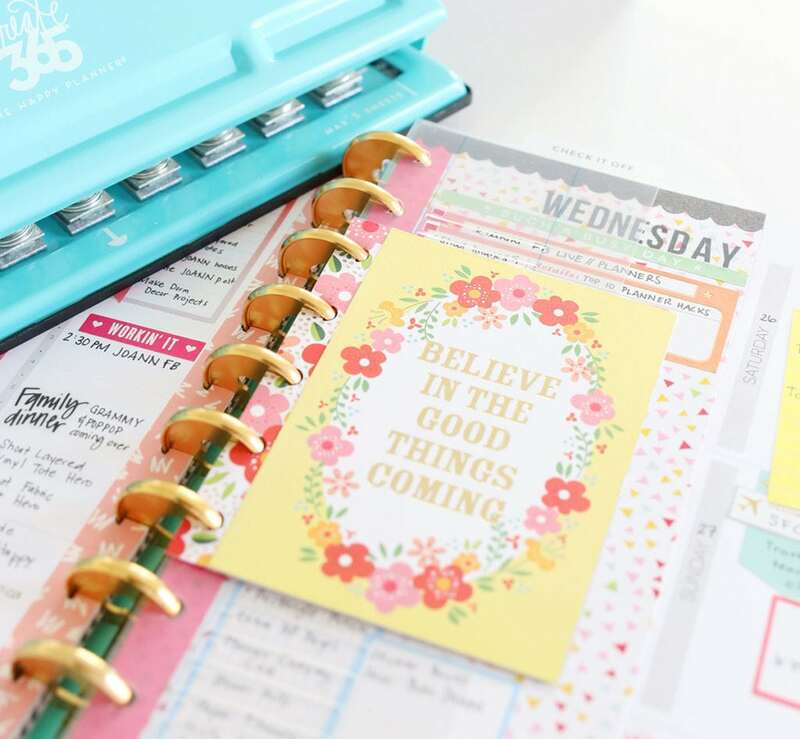 Each week comes with new challenges so it’s great to have a little bit of inspiration in your planner. I love to trim out inspirational cards then punch holes in the side. On the back, I can journal my thoughts and keep it as a reminder of that moment in my life. I love, love to organize. This looks like so much fun. Thanks for your enthusiasm to organize. I actually made my own planner for this year and I’ve been working on customizing and tweaking for my 2019 planner. Thanks for this inspiration!! Hi there! I’ve become obsessed with planning and all that entails; however, I’m so not a fan of the Happy Planner. After some serious searching, I find that Carpe Diem (by Simple Stories) is the best for me. I’ve combined their Home inserts, along with their Reset Girl monthly inserts, and I love it! 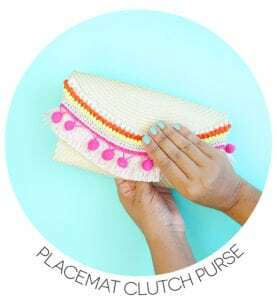 It’s super functional and cute! I love their stickers, too!!! P.S. I am definitely printing off your “Making It” stickers and adding them to my planner—I can’t wait to see you on the show!!! So very inspiring! You have such great creative ideas. I “discovered” you from Making It, and so glad that I have. I love your projects. 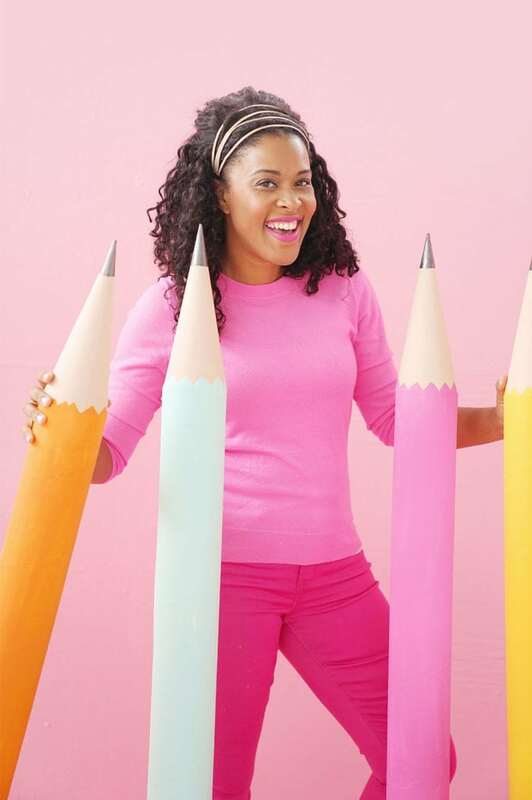 I too am a lover of school supplies, good thing I am a teacher! Thanks and keep going. Welcome to the planner community! 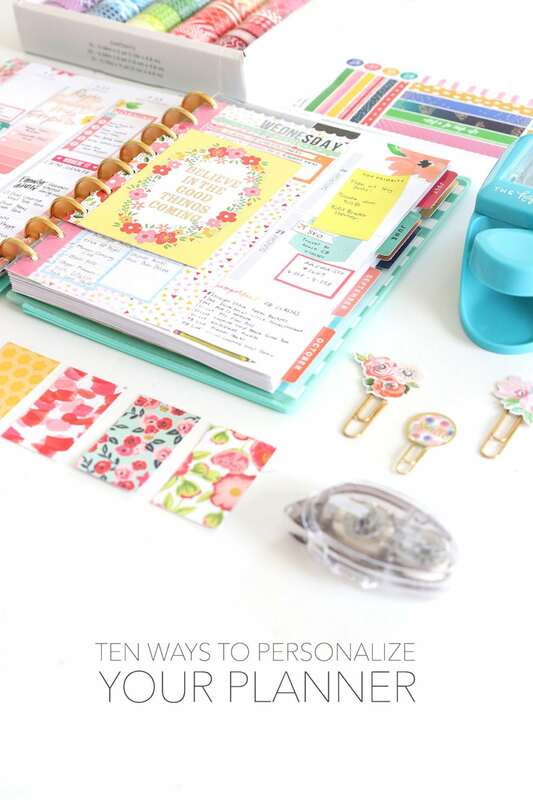 🙂 Great ideas and your planner style is AWESOME!